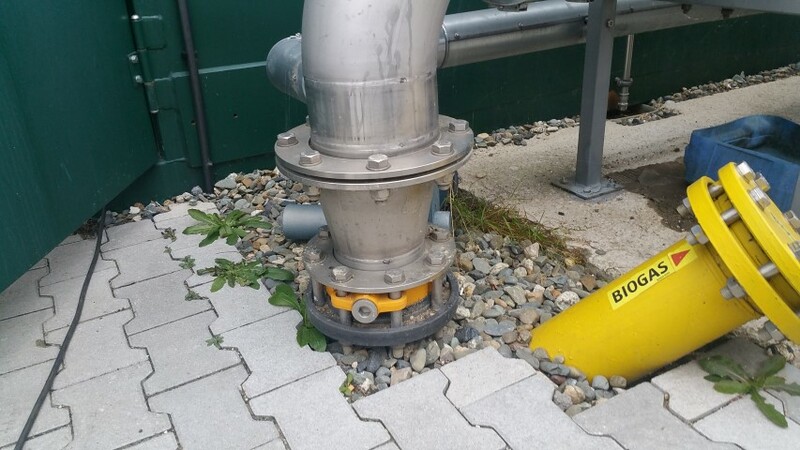 Especially in the area of construction and during the operation of biogas plants, we can help you with advice and action and contribute to the regulation in the event of damage or technical problems. Our main task here is our work as a damage assessor and expert in the preparation of expert opinions and rehabilitation concepts as experts for damaged biogas plants and faulty components. We also have suitable equipment for leakage detection of methangas and biogas at covers and pipelines. Our fields of activity are limited to the technology of biogas plants, but they do not refer to the chemical problem or the energy efficiency of the plants. We are experts and consultants for biogas plants, including pipe leakages, water damage, coatings, gaskets, pipes, valves, pumps, agitators, sound level meters and the mechanical components such as covers and all plastic components. However, we are not chemists and therefore have only limited expert knowledge of the biology of the fermentation process. In case of questions in this area we would recommend to contact the Biogas Association in Freising / Germany.